In a small bowl, combine the Hood Light Cream, Dijon mustard, lemon juice, red wine vinegar, and sugar. Stir until fully combined, and season to taste with salt and pepper. 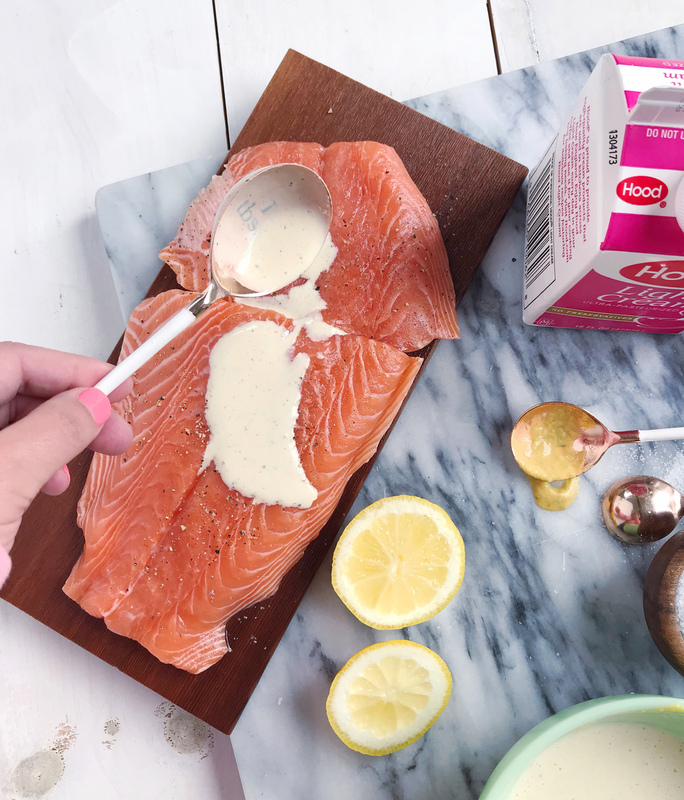 Spread about ⅓ of the Dijon sauce over the salmon and let it marinate for 20 minutes. 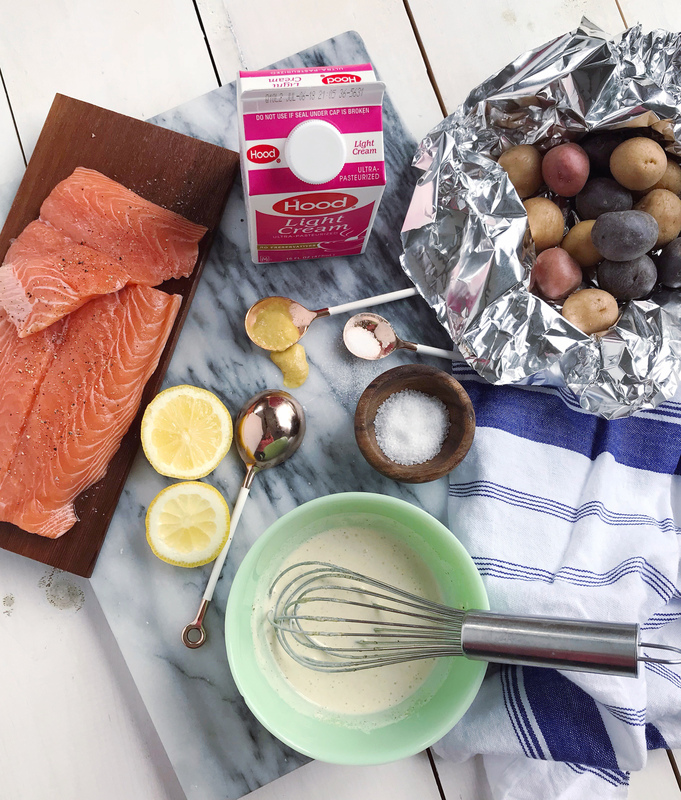 While the fish marinates, put the potatoes in a large piece of foil, drizzle with olive oil, salt and pepper. Close up the foil to create a packet. Pre-heat the grill for about 10 minutes, until it reaches 350-400 degrees. Add the potato packet to the grill and cook for 25 minutes in total. 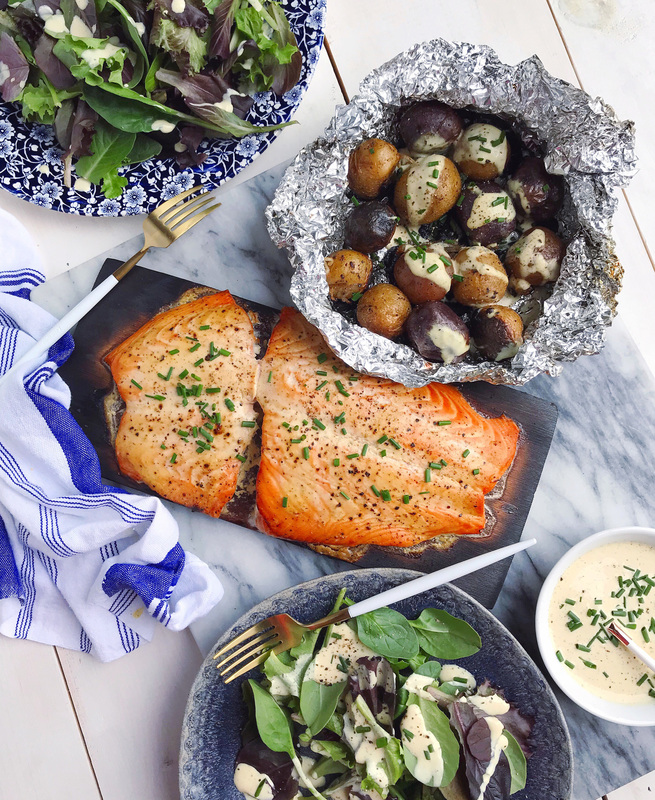 After the first 10 minutes, place the salmon on a cedar plank on the grill and cook for the remaining 15 minutes (cooking time is approximate, based on the thickness of your fish). 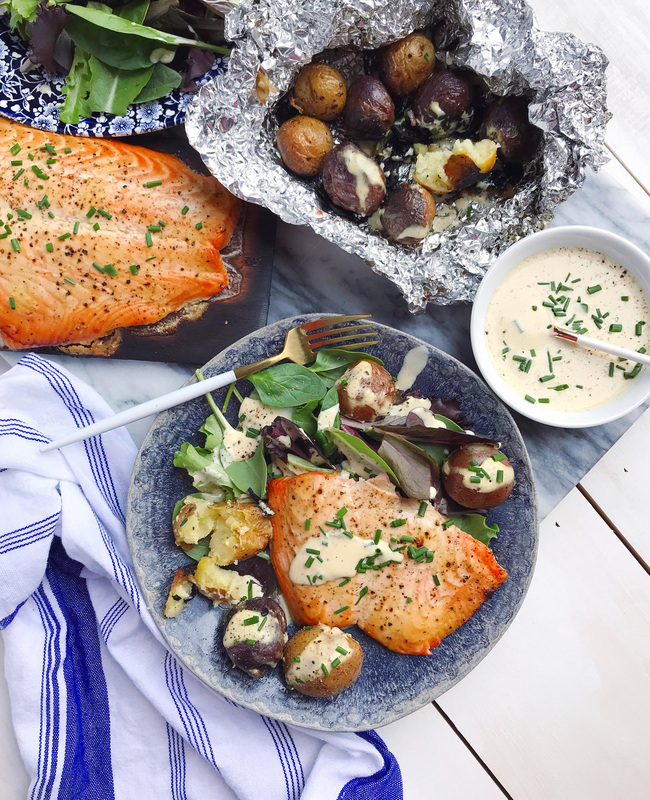 Remove potatoes and salmon from the grill once they are done cooking, and set aside to rest for 2-3 minutes. 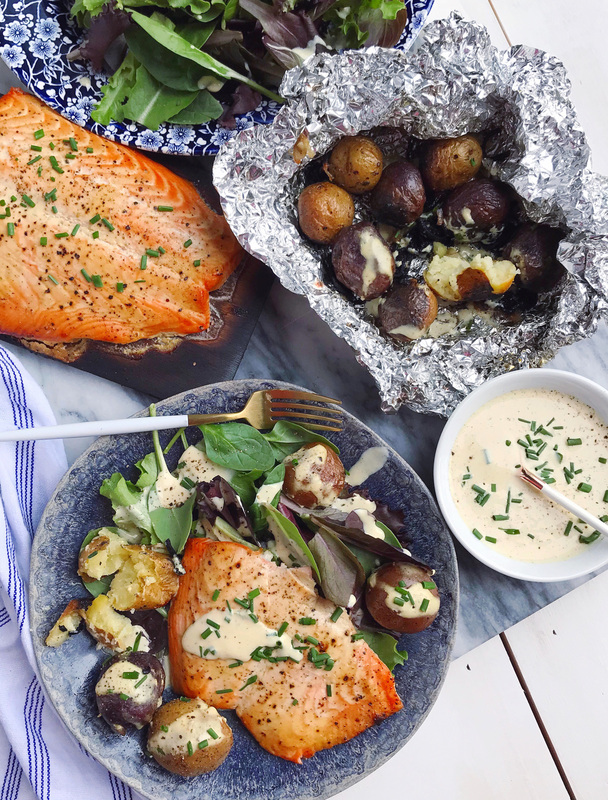 Plate the fish over mixed greens, add potatoes to the salad, and drizzle with the remaining Dijon sauce. Season with additional black pepper and sprinkle with freshly cut chives before serving.